India’s challenge is to find ways to decouple economic growth from unsustainable resource extraction, while addressing poverty and vast socio-economic inequities. Cities are at the forefront of this challenge. India’s urban population has increased from 220 million in 1990, to 410 million in 2014, and is forecasted to increase to 814 million by 2050. Estimates suggest that India needs to build 700 to 900 million square meters of commercial and residential space every year, roughly the size of Chicago, to meet the growing demand. Rapid and large-scale urbanisation is already stressing existing urban systems for waste management, mobility, energy, water, the built environment, and the environment. A recent report by the government think tank Niti Aayog estimates that India is facing the worst water crisis in its history. 21 cities will run out of groundwater by 2020 and 40 per cent of India’s population will not have access to drinking water by 2030. New Delhi is already the world’s most polluted city, and 14 of the world’s most polluted cities are in India. If urbanisation continues to be unplanned and undirected, there is a risk of collapse; not just of urban systems, but of the social fabric underpinning cities, if access to essential services and a decent quality of life is accessible to only those with financial resources or political connections, as is already the case in many Indian cities. If India is to create cities that are inclusive, resilient, safe, and sustainable, a new model that is regenerative by design is urgently required. A circular economy model can be a way to align priorities of sustainable economic growth with the development needs of the poor. New digital technologies offer new opportunities and pathways. India has recently embarked on a 100 Smart Cities Mission to leverage new technological solutions for urban renewal. Yet, emerging evidence suggests that issues of environment regeneration, climate resilience, and the access of different social groups to technology gains, have not yet received adequate attention in the design of new projects. The Smart City Mission must ensure that any new infrastructure and housing projects are built for water and energy efficiency, that broader ecosystem impacts are thoroughly considered, and that private contractors delivering the projects meet the highest sustainability standards for material and resource use as well as disposal. New digital technologies could also play a crucial role in promoting circular economy in cities. For instance, they can enable asset tagging and the gathering of geospatial information, which can be used to increase the longevity and responsiveness of existing urban systems and products. But unlike many industrialised economies from where the concept of Smart Cities originates, India still lacks much of the basic digital infrastructure required to support such high-tech solutions. Instead, digital platforms could be used to increase awareness and resource sharing at a community level – to support community-level circular economies. Digital inclusion and technological innovation can have both positive and negative impacts. On the one hand, it can create new pathways for building sustainable and inclusive cities. Yet, the opposite also seems to be true, where technological progress is contributing to increasing consumerism, stressing resource availability, and generating new forms of waste. With Digital India gaining momentum and the promise of 100 Smart Cities, the need for new digital infrastructure, hardware, and devices will also increase, increasing both resource consumption and waste. This is an opportune moment to think of the broader architecture of a digital society, one that avoids getting locked into unsustainable models of production and consumption. India is already one of the largest contributors of e-waste, generating over 2 millions tons of the world’s 44.7 million tons in 2015. By 2021, this volume is set to increase to 52.2 million tons at a compound annual growth rate of 20 per cent. While India is a leader in terms of the quantity of e-waste that is re-cycled, 90 per cent of e-waste is managed by the unorganised sector, by low-income and marginalised communities, in hazardous and toxic conditions. A circular economy vision for Digital India must start with organising informal waste management systems, including safety and social protection initiatives for workers. 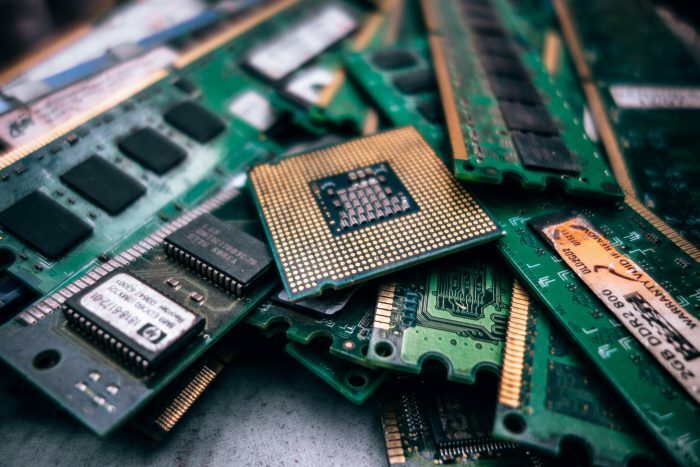 India follows an Extended Producer Responsibility (EPR) principle, which is not a sustainable management of e-waste, as producers often cherry-pick and process most profitable products and metal waste to recycle. Without legislation, e-waste management is seen as a business investment, and presently an unprofitable one. This calls for new legislation defining e-waste and setting progressive trends towards its recycling through producer responsibility. On an individual level, imbibing circular economy principles into Digital India means involving users in the life cycles of their electronics, choosing brands known to last long, and ensuring proper disposal of e-waste. On the production end, it means making more sustainable electronics that are free from planned obsolescence, designed to last long, and offering easy access to spare parts and longer warranties. The economics of gadgets encourages disposal. This is a particularly significant challenge in a consumer-driven society with a growing middle class and a large aspirational youth population. There is growing need to incentivise and regulate the production of quality goods designed to eliminate dangerous substances, and making disassembly a part of the life of the product. Market incentives and regulation will be required to steer business towards circular economy practices. A recent report by the Ellen McArthur Foundation estimates that a circular economy path to development could bring India annual benefits of $624 billion by 2050, along with reducing negative externalities – greenhouse gas emissions, for example, could be 44 per cent lower by 2050. But left to market forces alone, it is unlikely that India will imbibe circular economy principles. Even if business is to take the lead in the implementation of new urban renewal projects, coordinated and cohesive policy direction is needed. New expertise, knowledge, and institutional capacity will be needed to support circular urban planning. Among India’s poor, there is a well-established tradition of recycling and reusing; but such practices must not be only a product of necessity and hardship, but an imperative for policy, businesses, and individuals alike. This article was written with inputs from Pulkit Mogha.